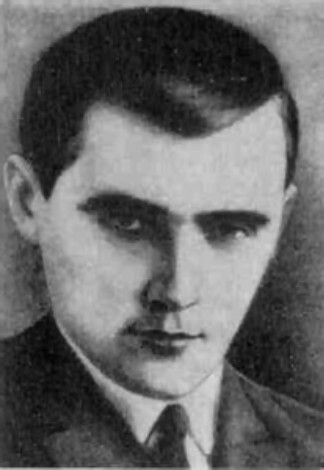 Bobynsky, Vasyl [Бобинський, Василь; Bobyns'kyj, Vasyl'], b 11 March 1898 in Krystynopil, Sokal county, Galicia, d 2 January 1938. Poet, translator, and journalist. Bobynsky served with the Ukrainian Sich Riflemen during the 1918–19 Ukrainian-Polish War in Galicia and edited the soldiers' newspaper Strilets'. In 1921 he belonged to the Lviv group of symbolist poets who published Mytusa. In the early 1920s he left the democratic camp and joined the Communist Party of Western Ukraine. 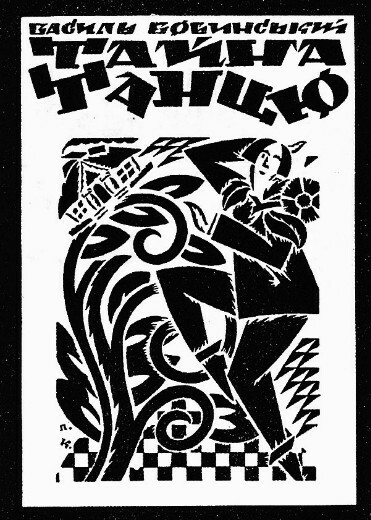 In 1925 he began publishing in Lviv the weekly Svitlo (Lviv), which he edited until April 1927. Bobynsky was one of the organizers and editors of the left-wing journal Vikna in 1927 and a founder of its affiliated writers' group Horno. In 1930 he emigrated to Soviet Ukraine and lived in Kharkiv, where he belonged to the writer's organizations Zakhidnia Ukraina and the All-Ukrainian Association of Proletarian Writers. He is the author of the poetry collections V prytvori khramu (In the Temple's Atrium, 1919), Nich kokhannia (Night of Love, 1923), Taina tantsiu (The Secret of Dance, 1924), Smert' Franka (The Death of Franko, 1927), Poeziï 1920–1928 (Poems 1920–8, 1930), Povernuty shtyky na kativ (Turn the Bayonets on the Executioners, 1932), and Poemy i pamflety (Poems and Pamphlets, 1933). Bobynsky was imprisoned in a concentration camp in the Solovets Islands in 1934 and was executed there. He was rehabilitated posthumously during the post-Stalin thaw. A selection of his poetry was published in 1960 and an extensive edition of his writings was published as Hist’ iz nochi (A Guest from the Night) in Kyiv in 1990.